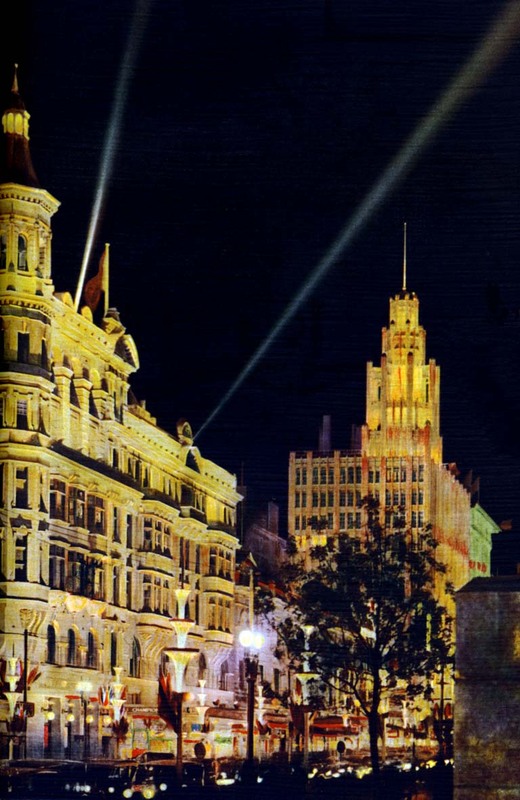 The joint Victorian and Melbourne Centenary celebrations were held between October 1934 and June 1935. They celebrated progress and community cohesion at a time when the world, including Australia, was in the midst of a severe economic depression. In 1934, the centenary firstly commemorated Edward Henty’s Portland settlement in November 1834, which led to the founding of Victoria. While in 1935, the focus of the Melbourne Centenary celebrations was John Batman’s pronouncement of Port Phillip as ‘the place for a village’ in June 1835. The Duke of Gloucester opened the celebrations in front of an estimated 500,000 people that lined the decorated streets of Melbourne. 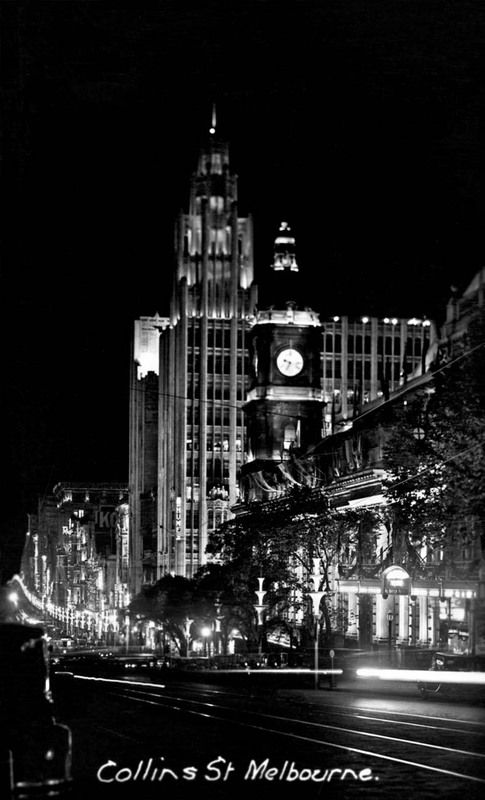 Over this time hundreds of events were held across Melbourne and Victoria. Special centenary celebrations of the Royal Agricultural Show, the Melbourne Cup and other sporting events were staged. 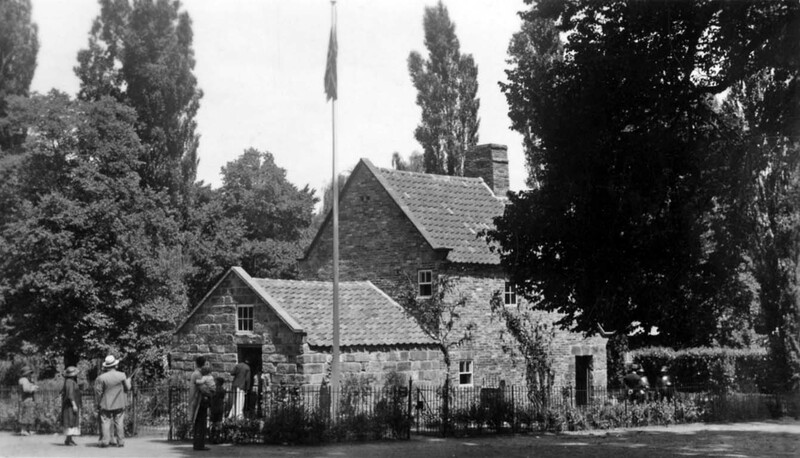 Sir Russell Grimwade purchased Captain Cook’s Cottage at Great Ayton in Yorkshire and he had it carefully measured, drawn, labelled, packed up and moved to its new home in the Fitzroy Gardens. Sir Macpherson Robertson showed great generosity. 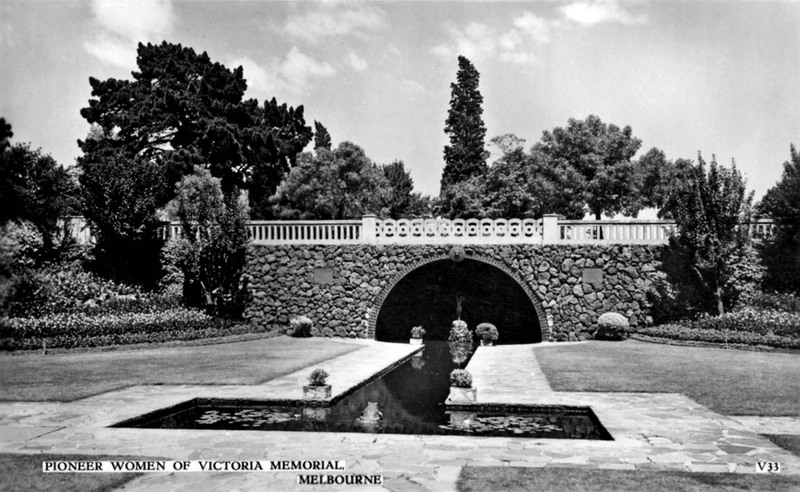 He funded an international air race and more permanent mementoes including MacRobertson Girls High School in South Melbourne, the MacRobertson Bridge over the Yarra River at Grange Road, the National Herbarium at the Botanical Gardens and the MacRobertson Fountain near the Shrine of Remembrance. 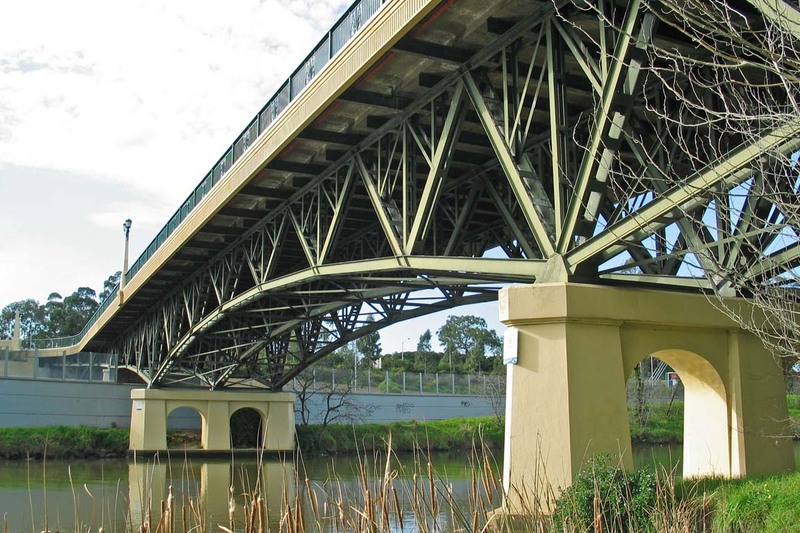 His gifts to Melbourne are still appreciated and in use today. 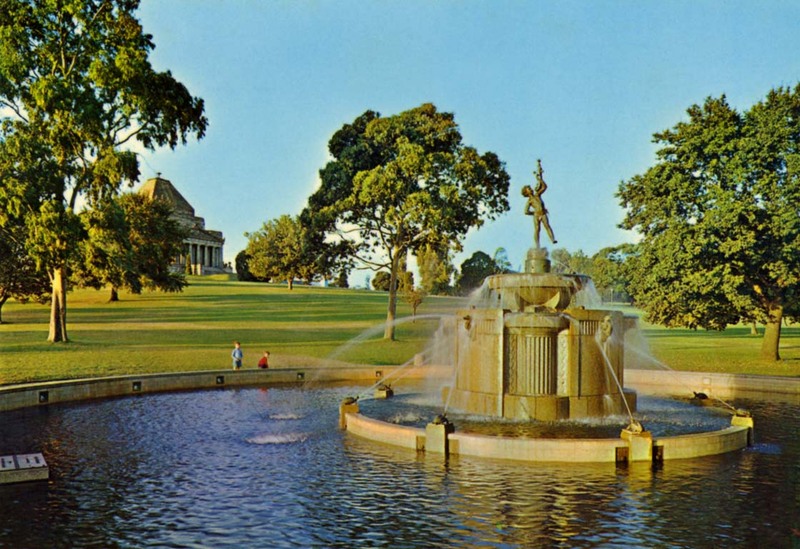 To recognise the part played by women in the foundation of the state of Victoria, the the Pioneer Women’s Garden was built in the King’s Domain. The Shrine of Remembrance, arguably one of Melbourne’s most important public monuments was completed and dedicated in 1934. For many it was the crowning glory of the centenary celebrations. A successful event during the celebrations was the Centenary Floral Pageant. 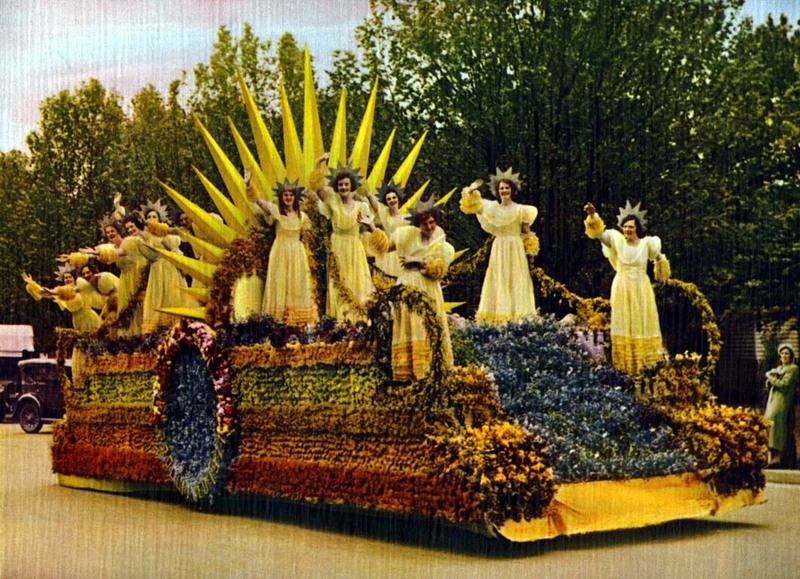 The City of Box Hill float above won first-prize. Swanston Street lit up for the occasion. Collins Street sparkling for the occasion as well. 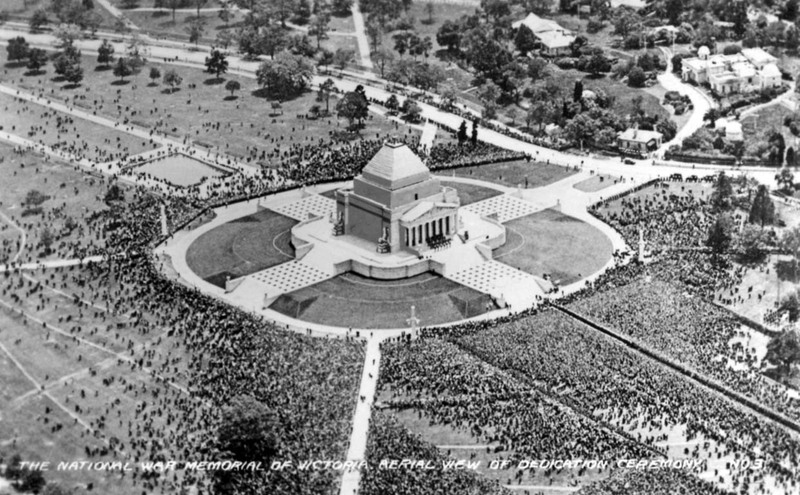 The Dedication Ceremony for The Shrine of Remembrance was held on the morning of November 11th 1934 in front of 300,000 people. Pioneer Women’s Memorial Garden, King’s Domain, Alexandra Avenue. Dedicated on November 24th 1934. 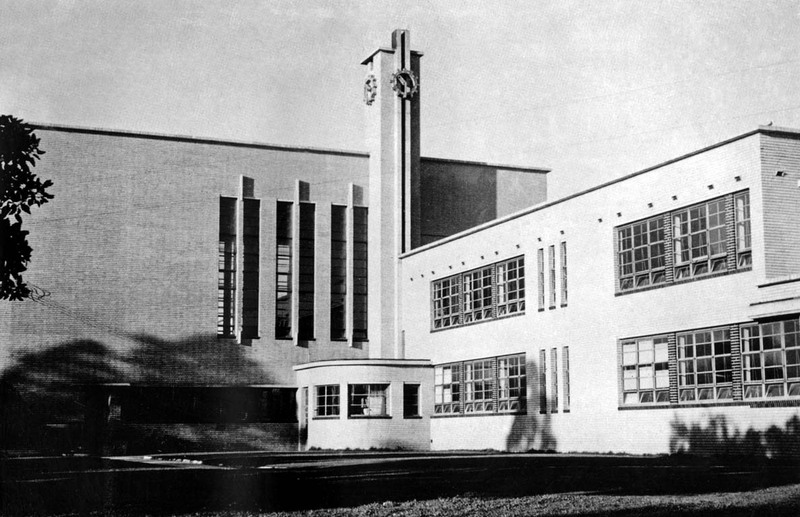 Sir Macpherson Robertson funded MacRobertson Girls High School and presented it as a gift to Melbourne for the Centenary Celebrations in 1934. 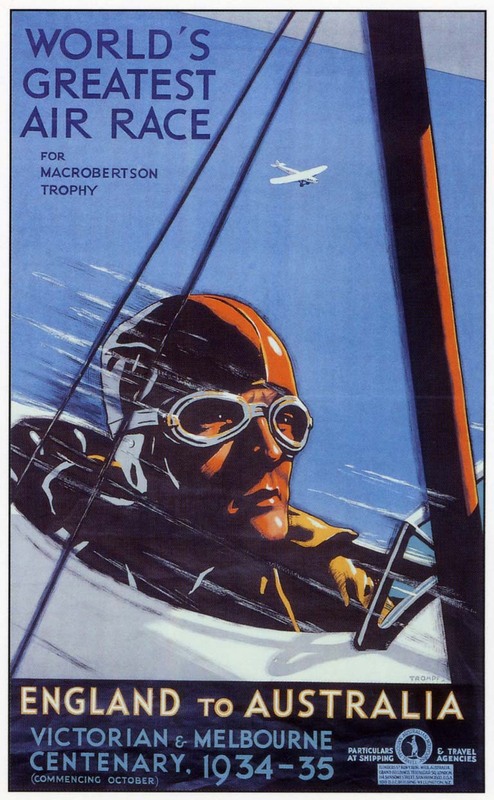 Poster advertising MacRobertson’s London to Melbourne Air Race that was won by Britons, Scott and Campbell Black. 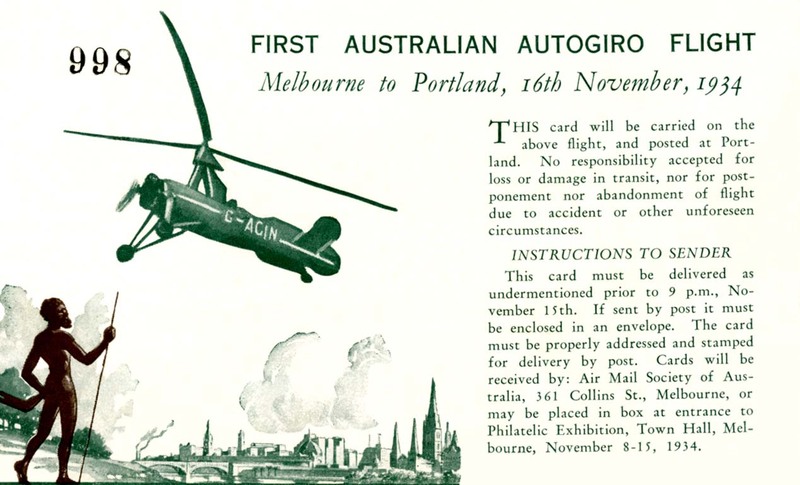 Postcard of the first Autogiro Flight held in Australia on 16 November 1934 that flew between Portland and Melbourne. 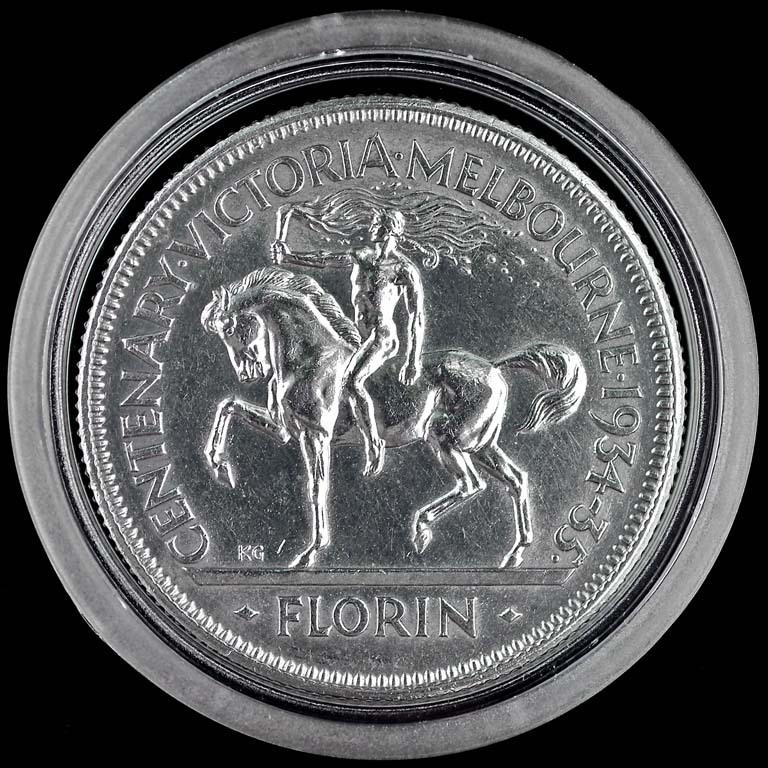 The special Centenary Florin was minted and circulated during the period of the celebrations. Victorian and Melbourne Centenary Stamps printed for the occasion. 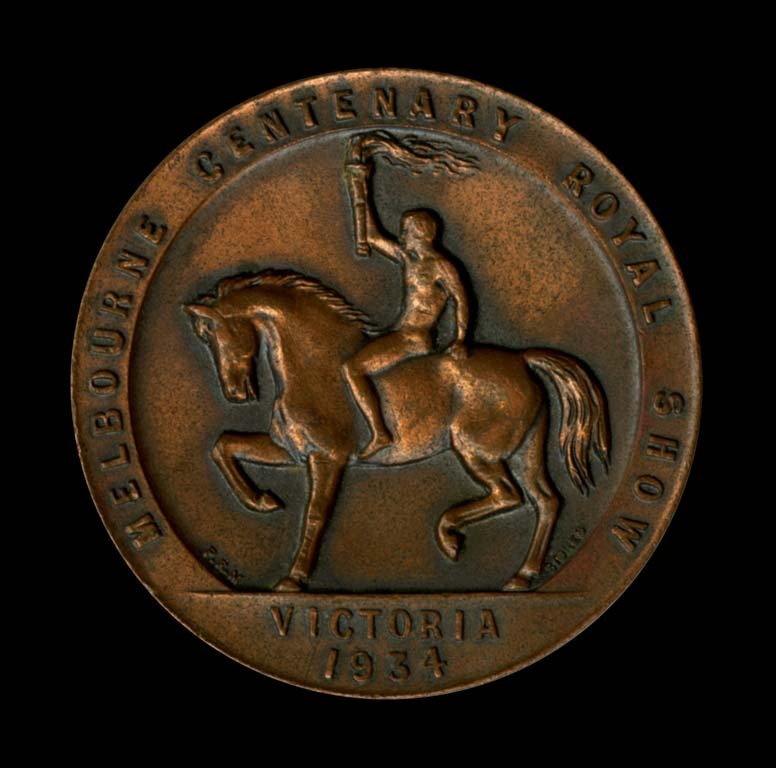 Special Centenary Medallion for the Royal Agricultural Show (Royal Melbourne Show). 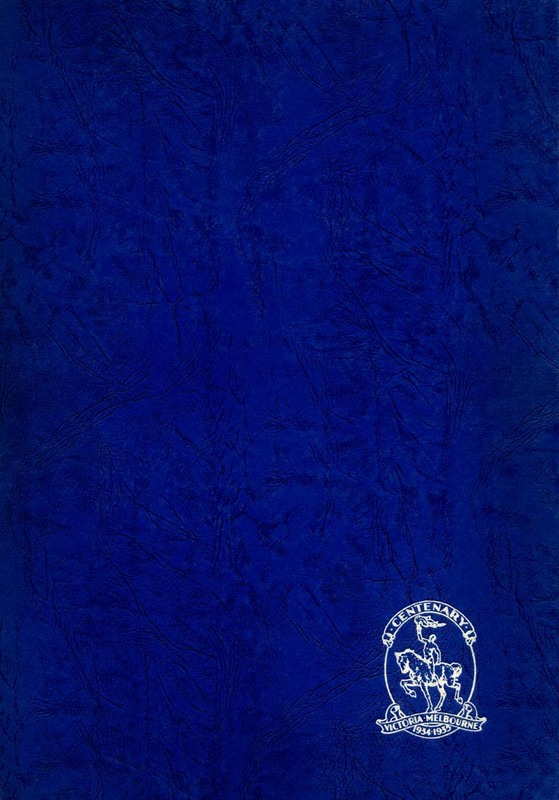 The Victorian and Melbourne Centenary Celebrations book, one of many released to mark the occasion.